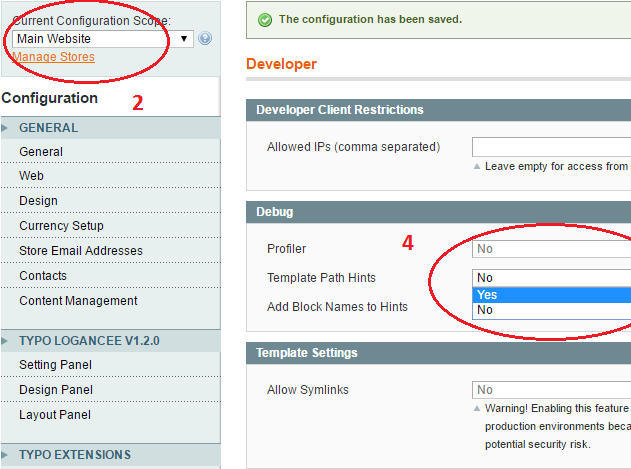 In order to enable template path hints on frontend in magento, you need to change some settings in admin area. 2. From the left side (Current Configuration Scope) as you can see in the picture above, select "Main Website"
3. Again, from the left side at the bottom page click on "Developer"
That's all. Check the frontend. If you want to turn this off...set these settings back.